The Western Alliance Tucson Summer Chess Camp has taken place the last week of June of every year since 2006. 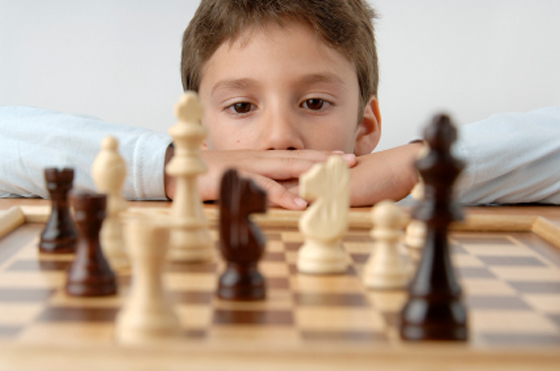 It is one of the strongest and most popular chess Camps in Arizona. The goal of the Camp is to provide intense study sessions for chess players of all ages under 1800 USCF. It is also designed to motivate younger players to have a more active participation in chess competitions and to develop a more serious approach toward chess. We had a wonderful camp this year, and if all the comments and testimonials are any indication, we exceeded all expectations. We had a total of 64 camp participants, ranging in age from 5 to 82. We also had a diversified crew of 11 coaches—IM Mark Ginsburg, NM Leo Martinez and Vaishnav Aradyula, Experts Josh Leonard, Andy Lebovitz, Amanda Mateer, Gordon Ruan, Steve Ostapuk, John Wright (who was also our tournament director), Matt Noble, Eddie Moskala ( more about our coaches here.) Subjects included tactics, positional play, analysis, and endgames. The coaches also discussed some of their own games, which allowed them to elaborate on certain details. The secret to quality lectures and lessons is to ask each instructor to teach what they feel most comfortable with and what they are best at. Therefore, selecting a wide range of coaches with very different backgrounds and chess styles was very important and added greatly to the quality of the camp. Most classes had 2 coaches, allowing for the greatest flexibility and providing maximum attention to each student’s needs. The camp was composed of three 1.5 hour lectures, tournament play followed by game analysis, and 1 evening activity each day (9-4) (5-7 PM). It was a pleasure to see a 5-year-old playing a tournament game using a clock, paying attention to the board, trying his best and at the same time not forgetting to record the game. On Thursday ( June 25 ) we had a special 1-hour event in the Auditorium, where each participant and volunteer had a chance to ask questions to the coaches about any chess topic ranging from which books to read and tournaments to play to psychology of chess. The session gave the participants lots of food for thought and at the same time answered many important questions. We are partnering with Unity Chess Club of Phoenix to host our first ever Western Alliance Scottsdale Chess Camp August 4-8, 2009. We’ll be offering a 25% discount to all 4th Annual Western Alliance Tucson Participants! Click here for details, hope to see you there!